Admission to "Centuries of Childhood" is included with Maltz Museum admission at a special summer rate that applies through Labor Day. 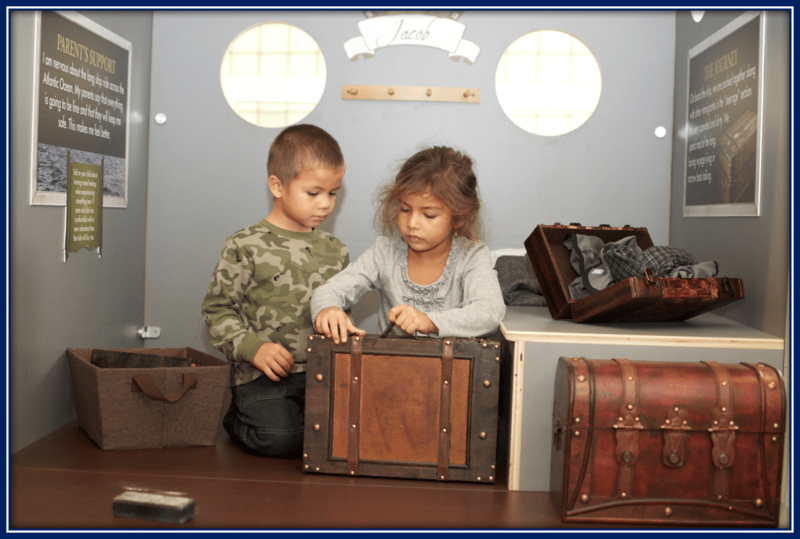 The Maltz Museum of Jewish Heritage has opened the “Centuries of Childhood: An American Story” exhibit, which is produced in partnership with the Children’s Museum of Cleveland and designed for children ages 2-8 years old. On view through Aug. 27, 2017 the exhibit uses interactive, hands-on activities to chronicle the stories of five children and their families living in historical eras ranging from the 1700s to the mid-20th Century. Admission to Centuries of Childhood is included with Maltz Museum admission at a special summer rate that applies through Labor Day: $10 adults, $5 children (5-11) and free for Maltz Museum Members and children under 5. The museum is open Tuesday through Sunday from 11 a.m.-5 p.m., Wednesday 11 a.m.-9 p.m. (closed on Mondays).